It's finished and ready to gift to my niece this weekend! This was a fun and easy quilt to make - all 3.5" center squares with 3.5" and 6.5" strips around them. I am not sure of the fabric lines for the center squares as they were precut fat quarters from my LQS. 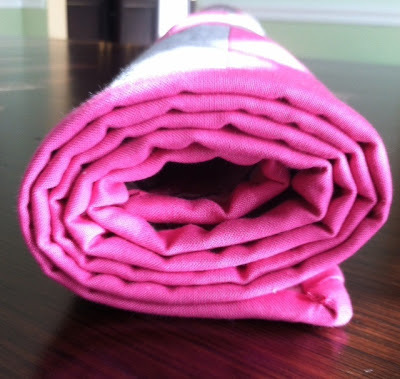 The solids are Kona Bright Pink and Kona Medium Grey. 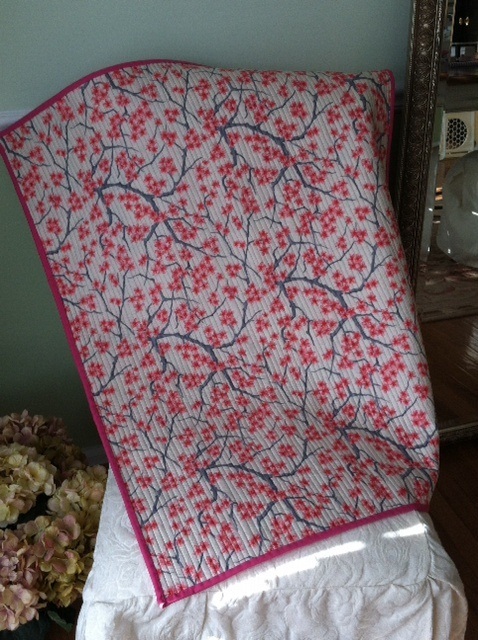 The backing fabric is Connecting Threads Matsuri line in the Cherry Blossoms print; Tea Rose colorway. Binding done with Kona Bright Pink. Excellent job, Tanesha! The quilting is perfect. Great gift! I love the straight line quilting! How did the Connecting Threads fabric for the backing? You were worried about the different weight of it. Thanks Sandi! The fabric worked out beautifully. I only had to adjust my bobbin tension a little bit, but using a walking foot for the straight line quilting helped with that too. What a beautiful quilt... love it...so will your family when they see it. 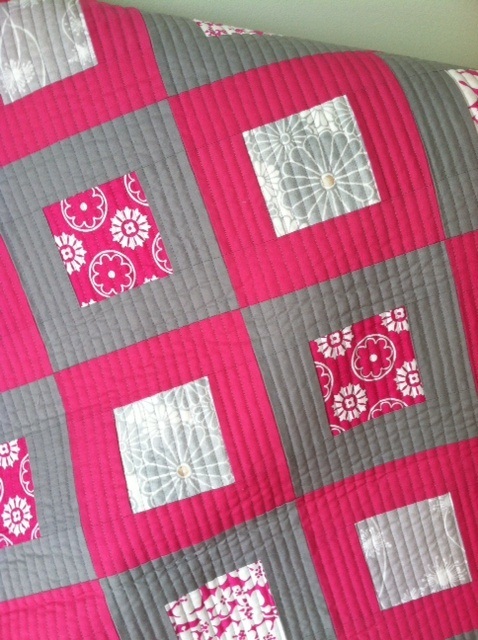 Love the backing fabric and the quilting! So pretty and I love the straight line quilting! Beautiful! Wish I could do straight lines so straight. 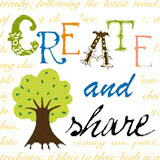 Looks great Tanesha! The backing is perfect! 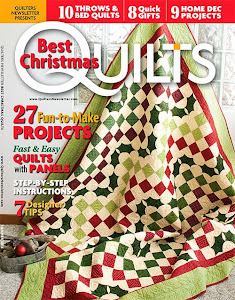 It's beautiful, love everything, the colour, the layout the quilting and the backing - fabulous! Your myriad of straight quilt lines is very impressive. I reminds me of those ribbed translucent glass windows. Wow! That quilting makes that quilt. And the colors ain't bad either! I really like it! Your quilting is beautiful! I love the straight lines! I have to find a project that will look good with those lines so I can practice. Enjoy the trip! What a sweet quilt! Love the gray & pink. 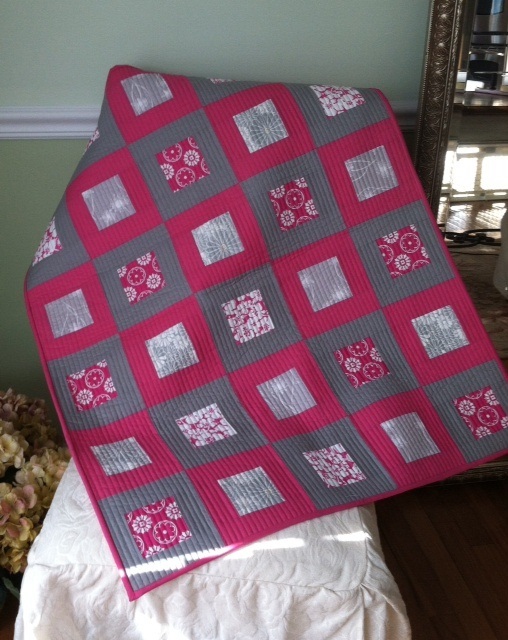 Your quilt is gorgeous and the quilting is perfect! 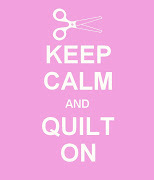 I just think your straight line quilting is the perfect choice. Good job. This is one of the most visually pleasing quilts I have ever seen! And your work is top quality! Thank you so much for sharing. Very inspiring. I bet your brother and sister-in-law loved that darling quilt. 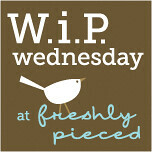 I think the colors are great and the simple pattern is just right as is the linear quilting. Good job.